Since April 2015, Hervé Maillart has been “Vice President International Projects” at EDF Nuclear Generation. He manages a team of more than 120 people and is in charge of the management of international contracts at EDF relating to Nuclear Operations. Before that he was “Group Nuclear Assets & Business Manager” at EDF-Group, involved in the asset management of 88 nuclear reactors across the world (spread over 6 countries). Hervé Maillart is Chairman of the ISO TC85 and CEN TC430 standardization committees in the field of peaceful applications of nuclear energy, nuclear technologies and in the field of the protection of individuals and the environment against all sources of ionising radiation. 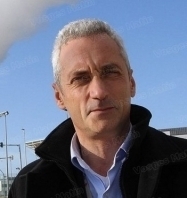 Since 2016, he is also secretary of the PFN “Plateforme France Nucléaire”, a high level AREVA, CEA, EDF meeting, in charge of developing coherent positions about the French nuclear industry and preparing appropriate decisions. Hervé Maillart graduated as a mechanical engineer. He is 57 years old.